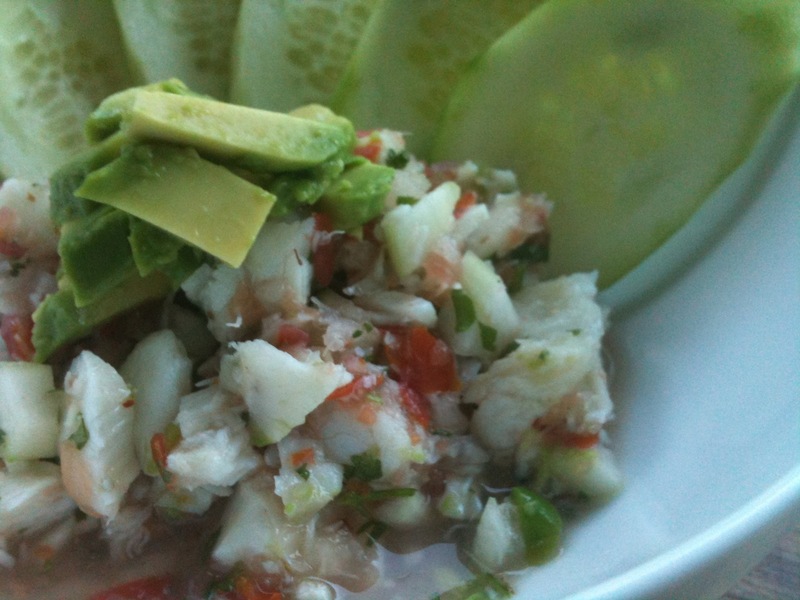 Ceviche is a great paleo meal. That’s why I now have 3 versions of it on my blog. 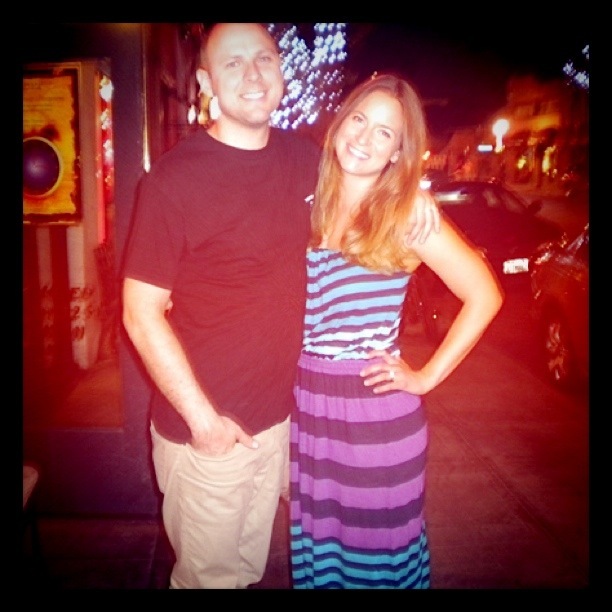 (see here and here) Yesterday, my man took me out for a little birthday dinner and we had some ceviche at a Spanish tapas restaurant in Pasadena. The ceviche was so good that I wanted it again. So I made it for dinner tonight! If you check out my other ceviche posts you will see the explanation of what ceviche is and how it is traditionally “cooked” in a citrus. A process that does not actually cook but changes the molecular structure of the meat with a reaction between the acid of the citrus and the proteins in the fish. This fish was bought on a sunday and labelled “previously frozen”(strike 1), at a local supermarket (strike 2), and was Cod (strike 3). Strike 1: Fish on sunday is not very fresh, and this fish in particular was previously frozen which also tells you that it is, in fact, not fresh. Strike 2: Nothing against local supermarkets, but when you start getting fish from actual fish markets and fisherman, the market seems like a suspect middleman. And when it comes to seafood… I want it as close to the water as possible (chronologically and locationally). Strike 3: Cod tends to be a bottom dwelling fish, especially Rock Cod (as the name suggests). This means they are bottom feeders (translation: they eat ocean waste) and could be more likely to have “undesirable stuff” in the meat. That being said, I poached the fish first in some boiling water and broke it up into pieces before marinating and chilling the final product. This is a good ceviche for people who are freaked out by raw fish or are opposed to “fishy” tastes. If you use a fresher and more noble fish then definitely try the traditional “cook by marinate” method. Just marinate for a few hours in your fridge and eat away! Add cod and cook for 2-3 mins. Drain and set aside. Break cod into flakes and small pieces and add to the bowl of “salsa stuff. Chill the ceviche for at least 2 hours. Serve with cucumber slices (paleo) or tortilla chips (non-paleo). Garnish with avocado. Great idea to poach first. 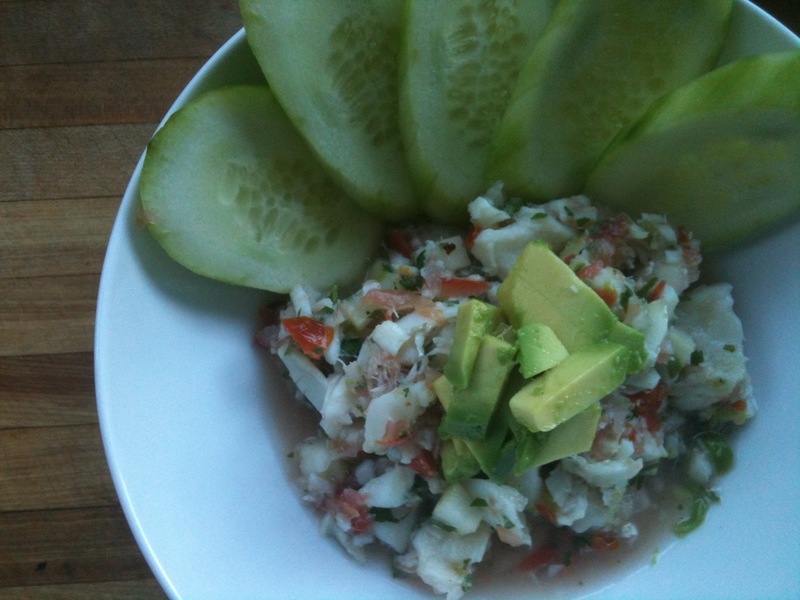 I love ceviche, too, but have been eary of serving it to the little ones aka my grandkids. Nice layout on your blog.